Natural Landscape for Play: Design, supply and installation of a Challenging and Integrative play area, suitable for all children. The works included the replacement of existing playground equipment and surfacing, groundworks, hard- and soft landscaping, fencing, and the use of sand, wood chips and grass matting as safety surfacing. 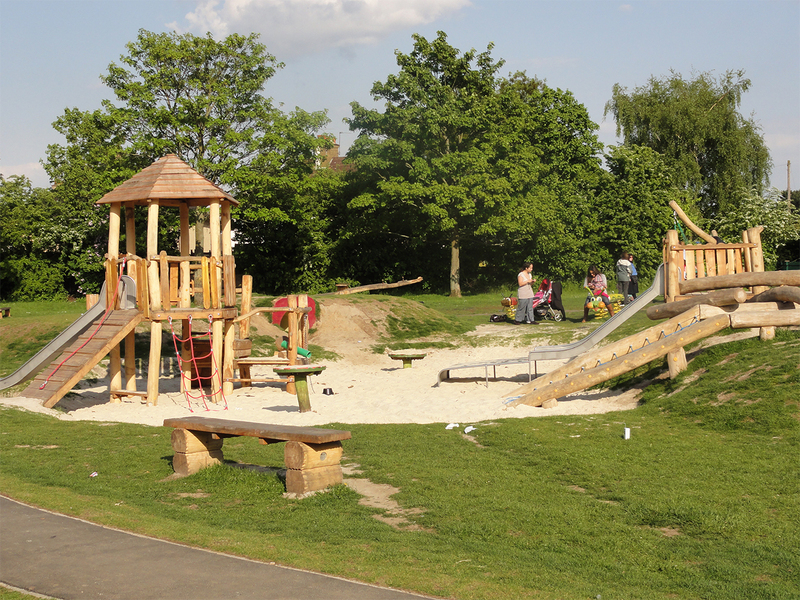 The playground contains a landscaped sloping footpath, leading to a DDA compatible wide slide, for the younger children is a large sandplay area with crawling tunnel, climbing structure and springers provided as well as their own seating area. For the older children the playarea includes a large climbing- / balancing structure with a high waving slide. Also in this unit are integrative elements included in form of easy access and a hammock. A large "Dutch" disk provide a rotating experience possibility for all children. And of course a cable rider with a 30 m long cable is included. 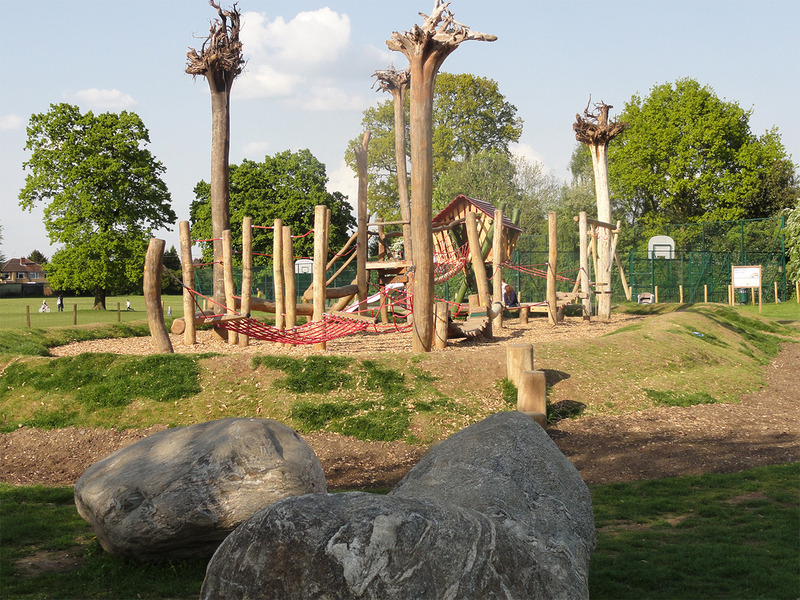 The complete concept was to deliver a natural playground, offering a great amount of play value suitable for all children. 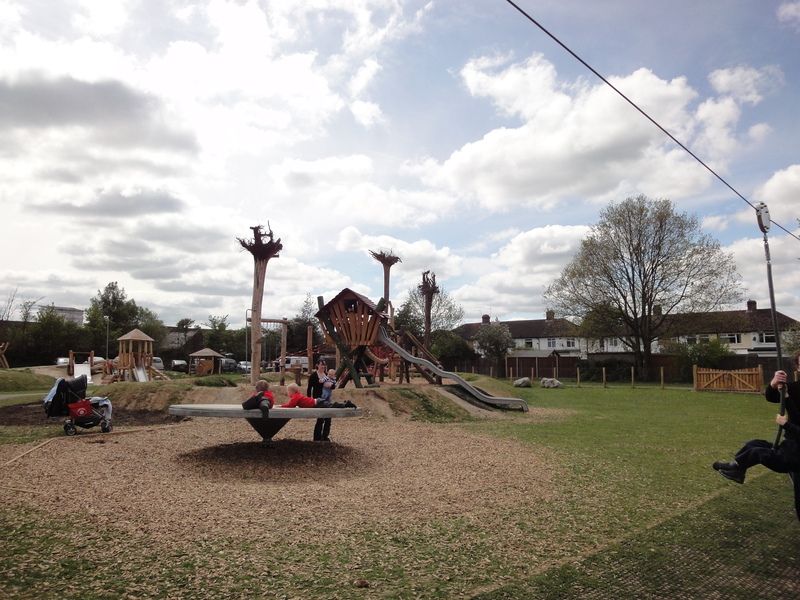 We were informed in 2015, that this playground is still the most popular playground in Rickmansworth! Installation Period: 6 weeks approx.